After the defeat to England I was flooded with phone calls about the World Cup. "Frano, what were we all thinking? Sure we haven't a chance in the World Cup after watching the England game. I am making a booking, should I go for the pool stages or the knock-out? What do you think?" "I think Ireland have a really good chance of making the semis and going even further." You can then hear in the background, "Frano thinks that Ireland are going to go well in the knock-out stages so ring the travel agent and book the pool stages package." If you are thinking of going to Japan for the knock-out stages you might want to get your arrangements in place sooner rather than later. Back in 2017, Emperor Akihito of Japan started to make noises about his declining health and the demands of the position on an 83-year-old man. He hadn't knocked anyone off the road in his Land Rover, but the end was nigh. The Royal household/court didn't really think he was serious about abdicating until his New Year speech when he told the nation that he would officially abdicate his position on April 22, 2019. Prince Naruhito, his eldest son and successor, has announced his coronation will take place on October 22, 2019 - slap bang in the middle of the Rugby World Cup quarter-finals and semi-finals. If all goes well for Ireland, they should be playing in the last quarter-final in Tokyo on Sunday, October 20. There are 130 million people living in Japan and apparently all of them will be descending on Tokyo for the coronation and week-long celebrations before the big day. There have been 440 invitations issued to heads of state and royalty all over the world, who will all be in attendance with their entourages. You can only guess about the logistics and the security operation. Tokyo has a population of 14 million people in the metropolitan area and 38 million in the greater Tokyo area. Even for a city of that size, it is my guess that every hotel, Airbnb, pension, guest house, penthouse and outhouse will be booked out for that week. A bit like Dublin. The good news for World Rugby is that all the luminaries and dignitaries are looking for tickets for the big show. Rugby, it seems, is not only Ireland's game, but the world's. Already the World Cup is a financial, commercial and media success. The Japanese have so far sold around 75 per cent of the 1.7 million tickets available - with plenty of time to sell a lot more. The organisers are confident of a sell-out well before the event begins. Even Georgia and Uruguay will have a full house. The Japanese have a busy year ahead. They host the Olympics in July and August 2020. The Rugby World Cup will be seen as a good trial run for that. Funny how that trend continues to pop up. London had its Olympics in 2012, three years before the 2015 Rugby World Cup. Now you have Japan in 2019 and the Olympics in 2020, France in 2023 and their Olympics in 2024. Last September I drove by the Los Angeles Stadium in Inglewood, California which was in the middle of construction. The 100,000-seater stadium will have the LA Rams and Chargers as tenants from 2020 onwards. The stadium will host the 2022 Super Bowl and in 2028 will host the Summer Olympics. What price the Rugby World Cup in California in 2027? If you are thinking of going to Japan for the knock-out stages I would either book now or bring a tent. It will be some cultural experience to see the coronation of a new emperor - Emperor Joe. Even the great ones don't get to choose how they go. Sean O'Brien goes to London Irish at the end of the year. It is a matter of regret that it ended like this but once you hop on the injury train it is very difficult to get off it. O'Brien's appearances over the last three years have been frustratingly sparse. He has missed large tracts of the previous three seasons. He missed the Grand Slam, the wins over the All Blacks, Leinster's double and didn't feature heavily in 2016 or 2017. He did feature strongly on the Lions tour of New Zealand. If you are centrally contracted by the IRFU you are judged on what you do in green principally and your provincial shirt subsequently. The famous red jersey is all fine and dandy, but of no intrinsic value for the IRFU. O'Brien had barely double-digit appearances and most of the time below that per season. If you are on €500,000 per annum on a central contract and you only play 10 games a year that is €50k per game. Superstar that he undoubtedly is, when the bean counters ran the numbers it was a racing certainty that O'Brien would not have his central contract renewed. At 32 years of age and having suffered some serious damage to his body, Leinster did not embarrass the man or themselves by making him an offer. Everyone knows what a special player he is, but the equation is cold, hard economics - appearances and time on the physio's table - and this led inexorably to his exit. Leinster have been quietly letting quite a number of their roster go, particularly over this season. Anyone who is hitting their 30s who has not been able to command a spot in the 23 on a consistent basis gets called in for a short chat. Joe Schmidt and the IRFU recognise this situation for what it is and subject to fitness and form, Sean O'Brien will go to Japan. The player did not want to leave and that is the reason he will play in green until November. Simon Zebo chose to go with five or six years of his playing career left. It is a simple distinction. Schmidt loves O'Brien too, which helps. O'Brien will hook up again with Declan Kidney and Les Kiss at London Irish. I had two very happy seasons at Sunbury-upon-Thames and I have even forgiven them for putting my picture above the door of the ladies' toilets. However, this is good business on a practical and realistic level. Given his run of injuries, the odds must be long on O'Brien fulfilling a three-year contract and walking off into the sunset aged 35, particularly with the way he plays the game. From a London Irish perspective, they have won 13 out of their 14 matches in the Green King Championship and are nine points ahead of the mighty Ealing Trailfinders heading into the home straight. Some of their matches so far have been tight affairs which is not a good sign if you have your eyes on the Premiership. You would back them to go up - that is if there is still promotion and relegation. The PRL are still insisting on debating this one with the RFU. What happens if there is no promotion? 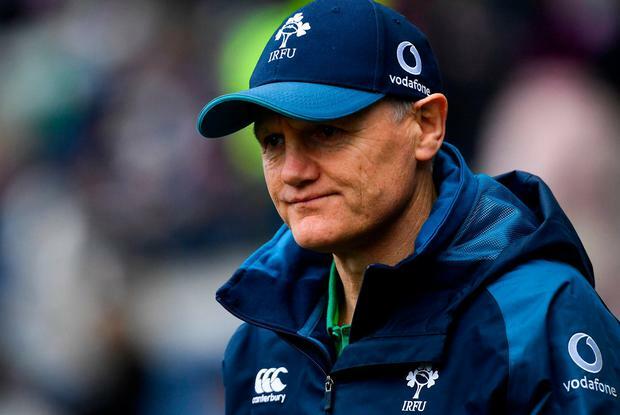 The London Irish roster is patently not strong enough and it has 10 South Sea Islanders in the squad who may have difficulty playing in some competitions after Brexit. The club took a financial hit by going down last season and their situation cannot be healthy. The money injected by CVC Capital Partners for a percentage of PRL will only have just hit their bank account (£15m per club) and instead of restructuring their balance sheet and paying off debt, London Irish seem to be throwing money around to pick up a few marquee names. In a nil-sum game this is not the most prudent use of money, nor is buying a superstar who may not get through his contract. Apparently Waisake Naholo is joining after the World Cup too - what sort of dough are they paying for him? It is laudable to be ambitious but this profligacy is only going to end one way. As for O'Brien's legacy? There simply hasn't been an all-purpose power back row player with the footballing brain and skill levels to match him in these islands. He is one of a kind. I hope he enjoys the life in London.